THERE is still just time to purchase tickets for the Annual Spring Fling in aid of Save the Children. 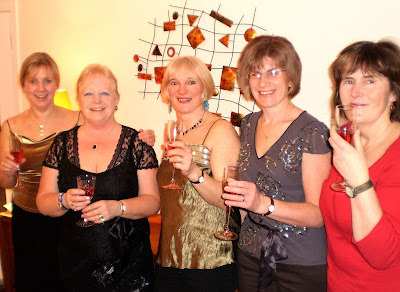 The Spring Fling takes place on Saturday 13th March 2010, at Malin Court Turnberry, 7pm for 7.30 dinner and dancing with the band Rumour Has It, great raffle prizes and fun. £27.50 per head, includes glass of wine on arrival and an excellent menu provided by Malin Court. Rebecca Cadie is Secretary of the Maybole and District branch of Save the Children, who are organising the event. Rebecca said: “We are looking to welcome friends, couples and parties up to 10. 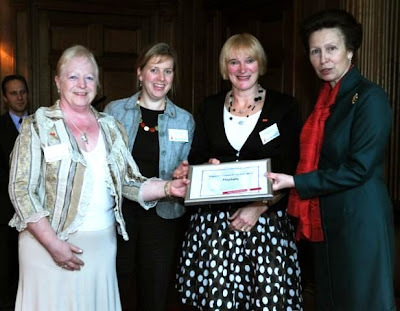 The Maybole and District branch of Save the Children were delighted to be awarded “Supporters Group of the Year” in 2009 for Scotland, and several members attended the presentation of the Award by HRH Princess Royal, patron of Save the Children, in Holyrood Palace in October. The group were recognised for their hard work and continued efforts to arrange fundraising events and keep loyal local supporters, despite being one of the smallest branch committees. In the last 5 years the Branch has raised £50,000 for the charity. Rebecca Cadie concluded: “We have some new faces on the committee and are looking forward to a revitalised format for the Spring Fling this year. Tickets are going well but we still have place for more friends and supporters to join us. There are currently 669 Ayrshire business stories permanently archived on this site. To locate those of most interest to you, please use the site search facility in the top left hand corner of this page. Type your search term in the white box, then click the magnifying glass symbol.